11+ Best Cryptocurrency & Bitcoin Trading Tools - Cryptolinks - The World's Best Cryptocurrency Sites List! The most important aspect of a profession is the tools used to carry out the work. You don't expect a farmer to make use of his bare hands to work when there are tools. To farm, there are several tools for several functions; one too might be better the other. If an hospital does not have the necessary tools to save lives of people, then it won't be called an hospital. The tools actually define a worker. Without the tools, it would be difficult to carry out the work. In the Crypto world, tools are also very important while trading or investing, maybe to track your trade, current market prices and so on. However, whichever category you fall in, a platform has got your back, which has gone to lengths to provide solutions to your problems. 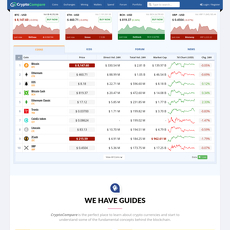 On Cryptolinks.com, you would find over 11 legally accepted sites on Cryptocurrency trading tools which have been thoroughly tested, proven highly trustworthy and recently reviewed on some criteria. Most times, people find it difficult to choose one from them because they are all great in their way, even arguments have been here and there on which one of them is best; with the short reviews provided in this category on cryptolink.com for them, makes picking the best that would satisfy your needs and keep your mind at rest very easy. This platform helps bring to your knowledge useful information on various sites on crypto trading tools. 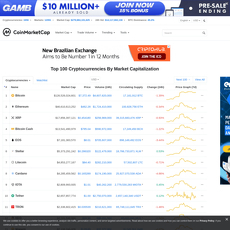 Example of some of these sites include Coinmarketcap, Etherscan.io, Simple Bitcoin Converter, BitcoinWisdom, Coinigy, CoinTracking, Coinwarz and so on. Below are a few features collated on these sites that make them stand out and regarded as one of the best in the business. 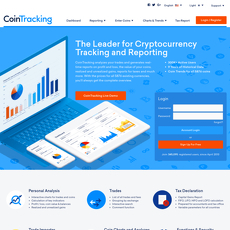 Some these site help analyze your trades and generates real-time reports on your profit and loss, the value of your coins, realized and unrealized gains, reports for taxes and much more. 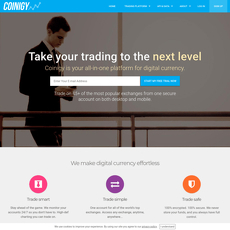 With the prices for all existing digital currencies, you’ll always get the complete overview. With these reports, you can track your trades and investments. These results can be in form of interactive charts for trades, coins calculation of key indicators, Profit / loss, coin value & balance and so on. 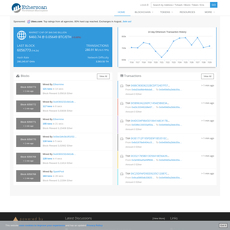 They also provide history charts on all the various coins, experimental forcast, email reports, latest fees on all coins and documentation together with a list of trades and their fees. Some of these sites help you have a trading experience with ease and less stress. 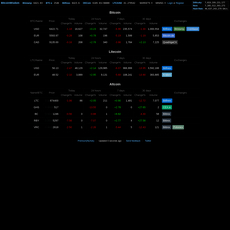 They help traders stay ahead of their trades by monitoring your accounts all day so you don't have to. With one account, you can see all of the world's top exchanges and also have access to any exchange, anytime, anywhere safely with 100% encryption. 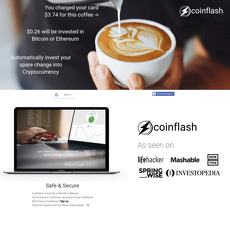 On some of these sites, you can get access to useful information on how to compare your digital money with another currency such as comparing Bitcoin to gold and other precious metals by checking out the converters for Bitcoin to gold, Bitcoin to silver, Bitcoin to platinum, and so on. 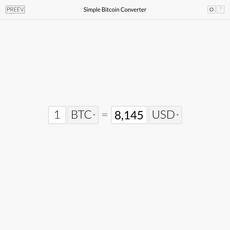 This site currently supports 64 currencies. You can also get to bookmark your preferred currency e.g. Bitcoin to Euro , or Bitcoin to British Pound. Some sites provide information on list of cryptocurrencies in comparison to Bitcoin mining in order to determine if a cryptocurrency is more profitable to mine than mining Bitcoin. The cryptocurrency profitability information displayed is based on a statistical calculation using the hash rate values entered and does not account for difficulty and exchange rate fluctuations, a pool's efficiency, pool fees and so on. Profitability of each trader may differ. 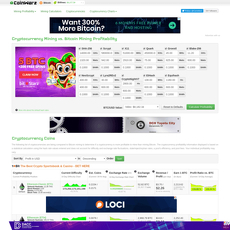 Some of these sites specifically deal with only one type of Cryptocurrency such Ethereum blockchain explorer, which deals with giving trading information only on Ethereum. 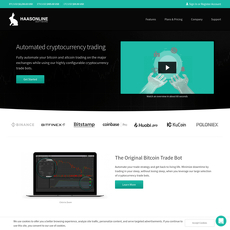 There are also some sites, which provide information on trading tools that support any kind of coins. Some of these sites also bring to the knowledge of their viewers in case it's their first time trading. They provide a means to through the various links to articles, videos as well as frequently asked questions just to help enlighten you. These trading tools might not be easy to navigate as there might be some hidden, so therefore information is provided on how to use the site as well the tools. Some of these sites offer easy CSV import from over 40 exchange, automatic import via APIs together with export in excel, pdf, csv, xml & json. 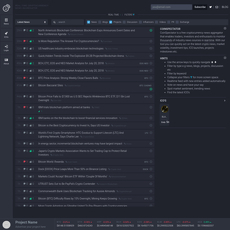 One thing about trading is that you can take a lot of time tracking your price values and listings but with their unique automated bot you can automate your trade strategy as well as minimize downtime by trading without losing sleep. In conclusion, taking a quick look at all these things listed up, one can say that these sites have a lot to offer with their highly developed features and trading tools. Cryptolinks.com have made it available for you, all you have to do is just choose the one you want.